When we went to Touch A Truck in Salem, we went prepared. Each boy wore a swimsuit and sunscreen. 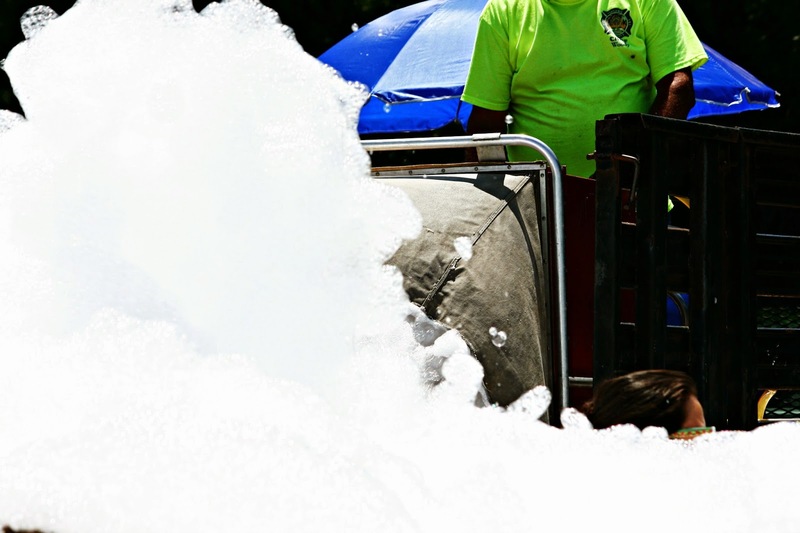 Because by far, the highlight of Touch A Truck is the massive pit of foam provided by the fire department. 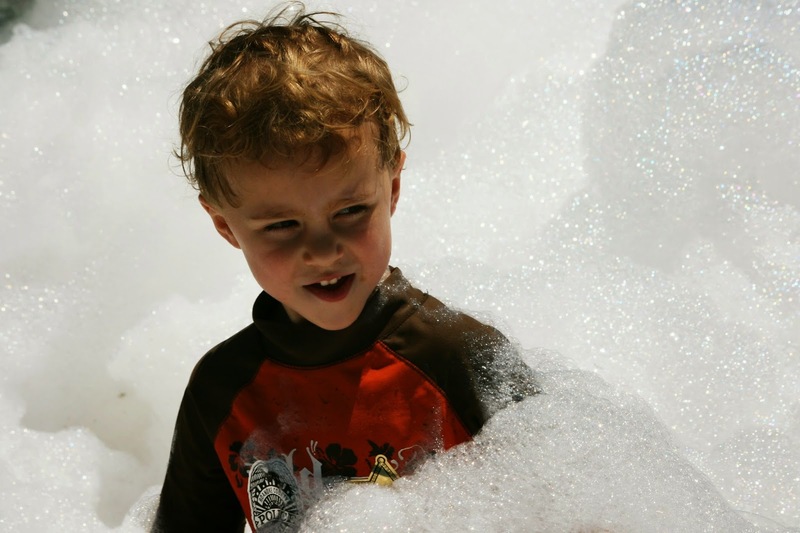 I mean, when you're a little boy, is there anything more inviting than a pit of foam on a steamy July day? And the foam just keeps coming, from the big foam shooter. 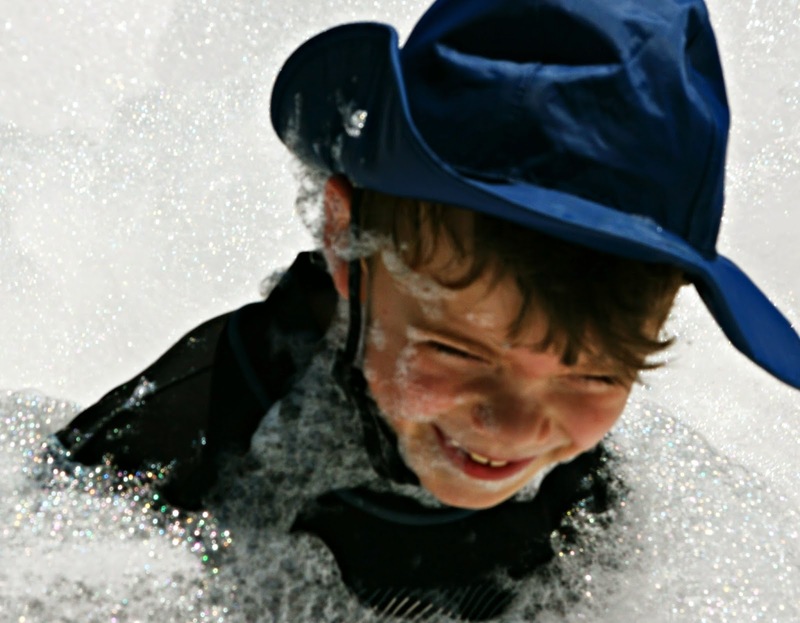 Every few minutes, waves and waves of foam. I use the term "rinse off" very loosely. Most of the stuff that I used to have fun doing is probably illegal now. Too bad its only for kids. How fun! Great activity for hot summer day! i love all of the shots of your boys having so much fun. What great memories you are creating for them. Oh wow! That looks like fun! You got some real keeper photos too. I know I boy who would have loved this! ik wou dat ik nog kind was. Lovely kids! You are very lucky. God bless you all! My boys would love that! How fun! I can see why you'd want to join in. I'd want to as well. Wow, this is awesome, whoever thought of it is a genius! And your pictures are super! I think foam pits better than mosh pits! 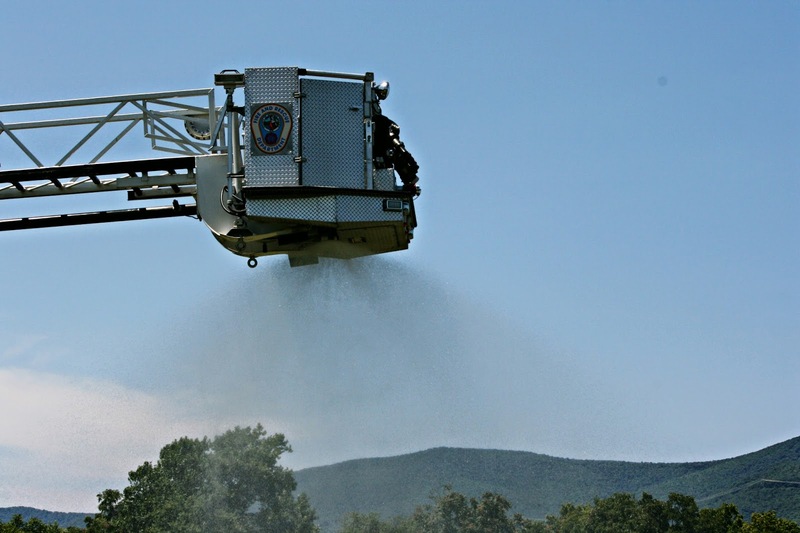 And fire departments usually use that stuff on gasoline fires and the like. I suspect the fire department may have just pulled out a small barrel of dish soap or liquid laundry soap for that day's "show." Glad the guys had a great time! 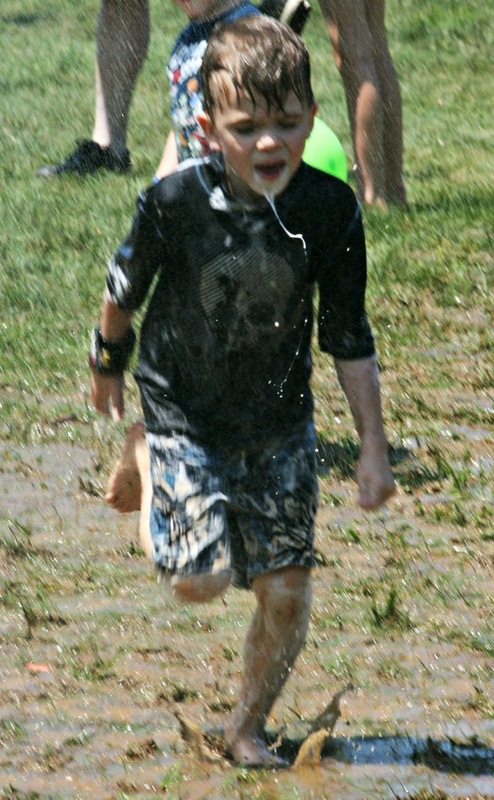 How fun for the boys; mud and all! 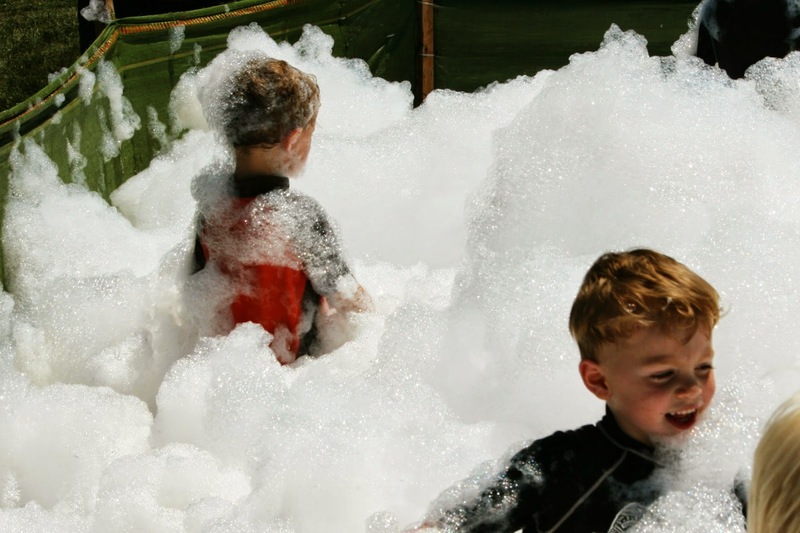 Kids today have it made--foam pits, inflatable trampolines, inflatable water slides, etc. etc. I'd certainly like to be seven again! I've never seen foam pits. Glad they had so much fun! Looks like fun --even for ME!!!! I'd love it! 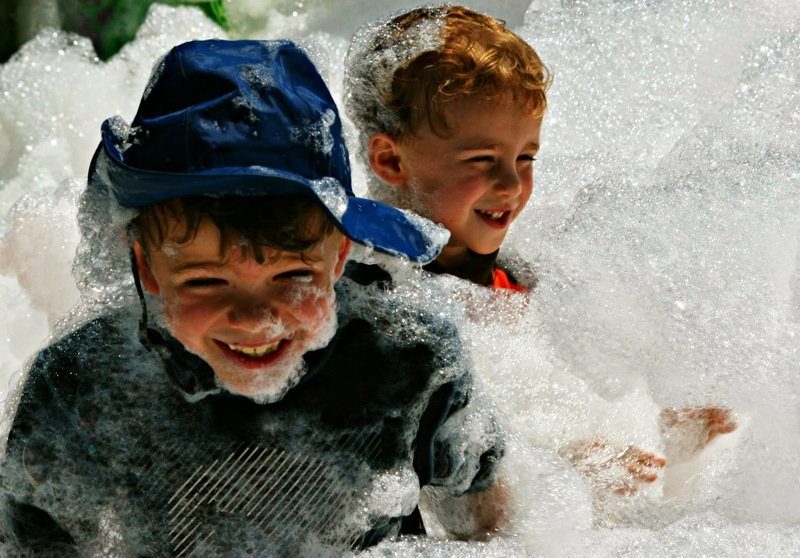 BUT--it's perfect for kids who want to play in the foam and dirt.... What JOY on a hot summer day!!! How fun! My grands would have loved that. 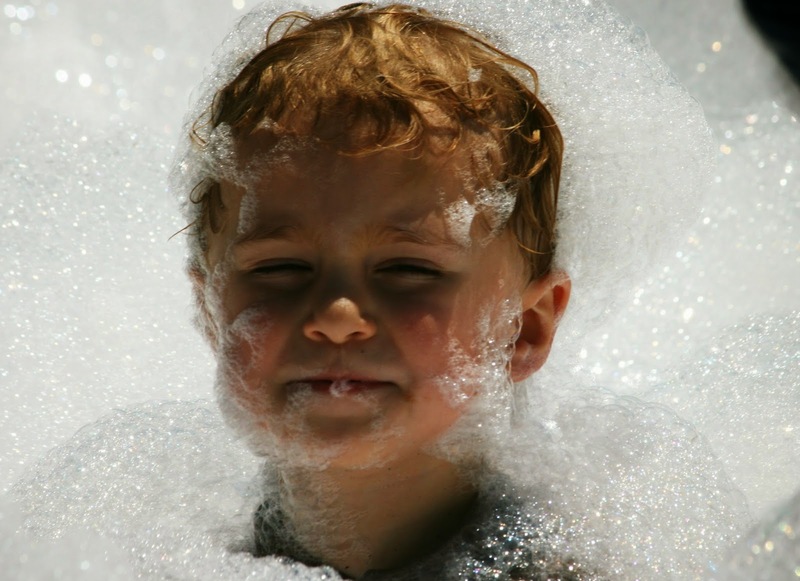 I could see myself playing in the foam too. 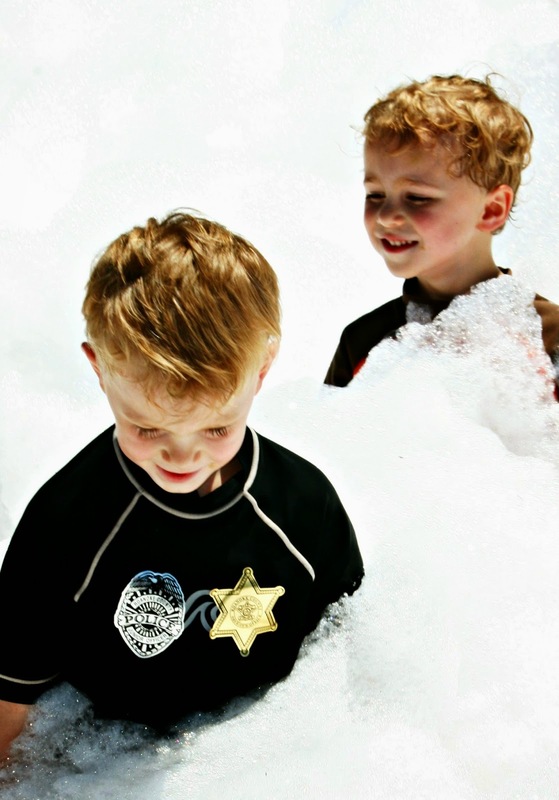 They had fake snow come in once a year at the park when we lived in Florida. The kids always thought that was great. Compared to the neighborhood trouble in summer we sometimes got into (throwing mud balls at passing cars while standing in between houses) this would have been a better alternative! How fun! 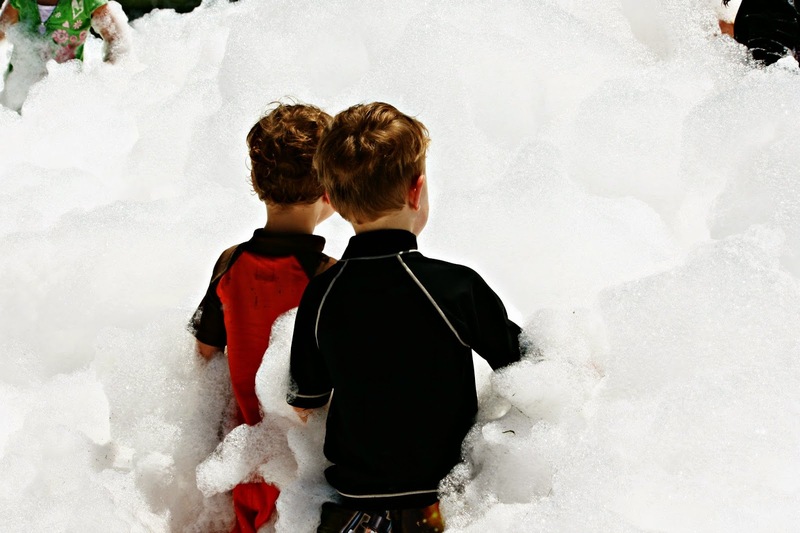 I want foam sea too! I'd jump right in!